Light weight, portable crimper with hand pump. With high strength aluminum flanges to minimize weight and a convenient carrying case, the D100 series crimpers are truly portable crimpers. 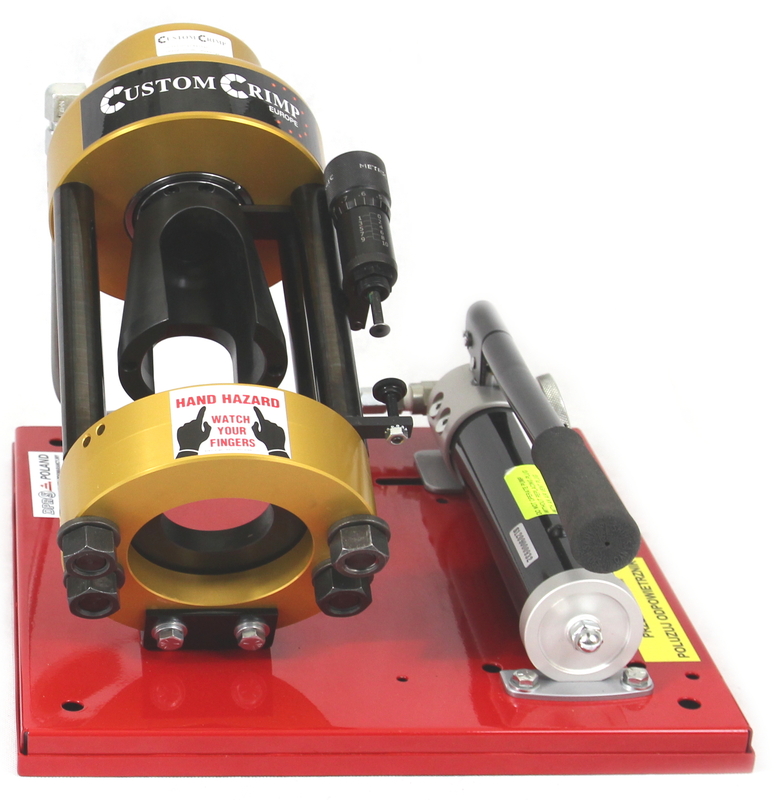 The choice of a 10,000 psi hand pump or a pneumatic power unit and precision micrometer adjustment give the D100 series crimpers the power, flexibility and accuracy to crimp up to a 1″ hose wherever service is required. High Visibility: Inverted die position allows the operator to accurately position the hose and fitting prior to crimping. Accurate and Repeatable: An adjustable micrometer and the Micro Site indicator make precise and repeatable crimps. Convenient Carrying Case: Included case provides convenient storage for crimper, dies and special tools.